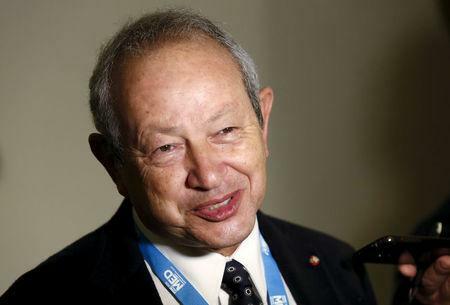 ABU DHABI (Reuters) - Egyptian billionaire businessman Naguib Sawiris said on Tuesday he sees opportunities for mining, telecoms and hotels in North Korea if a summit between its leader Kim Jong Un and U.S. President Donald Trump later this month is successful. "It's just a country full of opportunities if it opens up," Sawiris the executive chairman of Orascom Investment Holding said on the sidelines of a conference in Abu Dhabi. "I am looking forward in other areas such as mining, tourism, agriculture, agro-industries. But mining is amazing - they have so many resources and they don't have the money to spend on exploration." "I am very upbeat on the (Trump) meeting because I think we might really achieve peace in that meeting. I think the North Koreans - all that they want - is recognition, respect, dialogue and they are getting it now." Orascom Investment Holdings said in September it had been granted an exemption from the United Nations to operate Koryolink, its joint venture with North Korea's Post and Telecommunication Company.